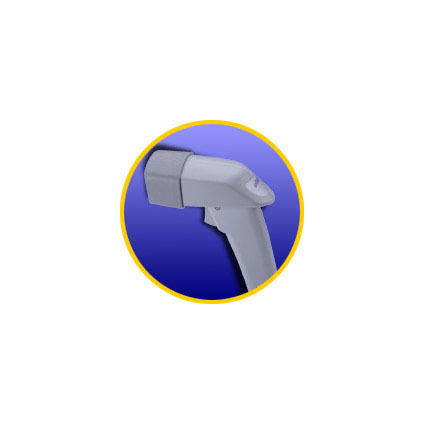 The MS300 CCD scanner competes with laser scanners on both design and performance. Its ergonomic gun action design fits comfortably into the operators hand while the price fits just as comfortable into the budget! It uses a 3-in-1 interface which makes it easy to select and replace connection cables. The MS300 delivers superior reading performance to read bar codes at distances of up to 13.8 inches and decode them at a rate of 45 scans per second. There are no specifications available for this product.